Shacknews chatted with House House's Nico Disseldorp at PAX West 2018 about a runaway hit of the show: Untitled Goose Game. "It's just a game where you're a goose, really." Greg then asked if geese quack, which obviously, they don't. They honk, Disseldorp clarified. We can't believe he asked this question. But it's true, and you can honk to your heart's content in this adorable game, which is most of the fun of being a goose, in fact. "You can waddle, flap your wings, and generally be a goose. If you've ever met a geese, you know they can be a bit mean. This goose is very mean." The Nintendo Switch title, on showcase during PAX West 2018, was an instant hit with crowds, as it lets you do a wide variety of hilarious stuff to mess about with the farmhand in-game. You basically just do annoying things to make the farmer angry, which makes for some side-splitting situations. Don't believe me? 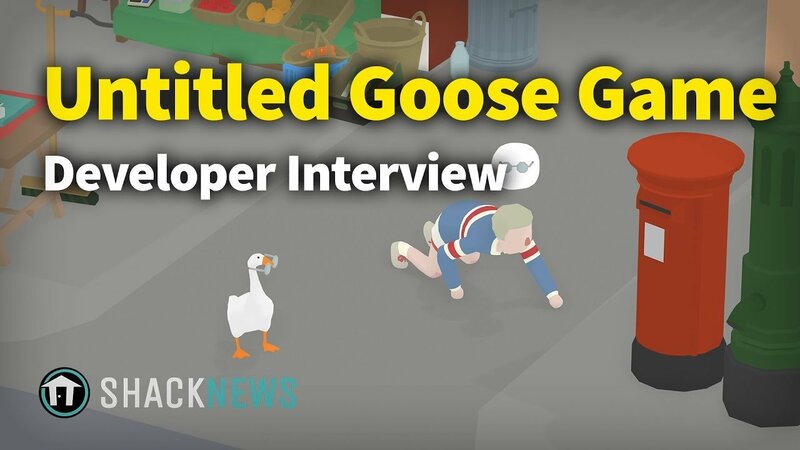 Check out the interview above, and keep an eye out for Untitled Goose Game to get its title (and release date) hopefully sometime in early 2019.